Matthew Jeffery is an experienced immigration lawyer Oshawa specializing in a wide range of cases including assisting immigrants with permanent residence applications, work permits, and visa applications as well as appearing before the Canadian courts for immigration appeals and other litigation matters. Mr. Jeffery has represented numerous clients before the Federal Court of Canada and the Immigration Appeal Division. He has over 20 years of experience in immigration cases. With the help of Matthew Jeffery, clients are guaranteed ongoing support and advice to navigate Canada’s complex immigration system. For many foreign nationals, their dream is always to reunite with their families. Since going back to their native countries may not be an option, permanent residents may wish to sponsor their child, spouse or parent to live in Canada. Family sponsorship applications must be done thoroughly and with a proper understanding of the immigration laws of Canada in order to increase the chances of approval. 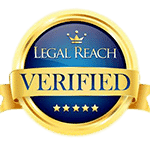 We have a qualified immigration lawyer who specializes in family sponsorship applications. 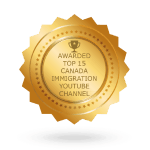 Mr. Jeffery will help you to understand your options and ensure the case is properly presented to the immigration authorities so you can make your dream of bringing a loved one to Canada come true. Once your permanent residence card expires, you risk losing your status if you don’t apply for a renewal. In fact, we always recommend that permanent residence card renewals be done weeks before the PR card expires to prevent a situation where you’re living in Canada illegally. 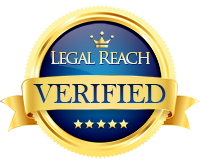 Our able immigration lawyer Oshawa can simplify the PR card renewal process for you. If you’re worried about not fulfilling the residency requirement, we’ll walk you through the exceptions and help you explore all options to get your PR card renewed. Are you looking to enter Canada as a skilled worker or any other professional? The immigration authorities developed the Express Entry system to make it possible for foreigners with exceptional skills and talent to join the Canadian workforce without going through the lengthy permanent residence and citizenship application process. You enroll into the program if you meet the minimum requirements and then wait to receive an invitation to apply. We can help you with the application by explaining all options to succeed in this process. There are cases where you may need to apply for temporary resident visas such as a study permit or work permit. These temporary resident visas allow you to enter or stay in the country for a specific time period as you work on applying for permanent residence or citizenship. We’ll go through your case and advice on the best option to get your temporary residence application approved. Want to apply for citizenship in Canada? As a permanent resident, you may be eligible to apply for citizenship if you meet the residency requirements, pass the language tests and knowledge of Canada test among other requirements. There are other factors that could lead to your citizenship application being rejected. Working with an experienced lawyer can help you to present your application with adequate knowledge of the process in order to increase the chances of approval. Appeals to the Immigration Appeal Division must be handled by an experienced and skilled immigration lawyer. We always encourage our clients to begin the appeal process as soon as possible since there are strict timelines that can prevent you from moving ahead with the case. Whether your family sponsorship was rejected or you are facing deportation, we can help to review your options and gather all the evidence and facts to bring you the best outcome. If you or a loved one has been declared inadmissible to Canada on medical grounds, misrepresentation or criminal issues, we can provide you with the legal support needed to overcome inadmissibility. We will review your unique situation and determine the best course of action for you. Options such as obtaining a temporary resident permit are available if you have a conviction abroad. You may also challenge the decision in court in the form of an appeal and gain entry in Canada if you win the case. We can help you challenge a decision of criminal admissibility by gathering facts and evidence and get the best possible results. Oshawa’s official motto is “Prepare to be Amazed” – setting a lofty goal for the scrappy southern Ontario city. Oshawa is a city of about 150 thousand people located on the eastern end of the Greater Toronto Area. The city is part of Durham Region, along with Pickering, Ajax, and Whitby. Oshawa’s population includes a wide range of ethnicities, including people identifying as Black, South Asian, Chinese, Latin American, South East Asian, and Arab. Oshawa is the self identified “Automotive Capital of Canada”. The city is home to General Motors’ Canadian headquarters, as well as a major General Motors manufacturing plant called ‘Oshawa Car Assembly’. The plant includes over 10 million square feet of factory floor and employs around 4 thousand people. 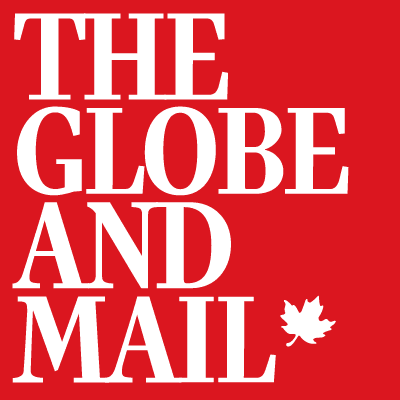 General Motors is by far Oshawa’s largest employer. Many people are also employed in related industries that feed off of the GM plant’s activities. Aside from the Oshawa’s important manufacturing industry, it is also home to institutions of higher education. The University of Ontario Institute of Technology is located in Oshawa. UOIT was founded in 2012, and is focused on preparing students for careers in science, technology, and healthcare. Oshawa is also home to Durham College, which is attended by more than 9 thousand full time students. Durham College, unsurprisingly, offers many courses in automotive and manufacturing related fields, as well as business, media, healthcare, and design, among others. As well, Trent University maintains a campus in Oshawa. Oshawa is a city that’s well known for its blue collar roots. Oshawa is also known as producing standout hockey talent, with well known NHL players Dale Hawerchuk and Sean Avery hailing from Oshawa, among many others. However, with its recent growth in educational opportunities, Oshawa is quickly becoming a high tech hub within Ontario and Canada. As well, GM’s Oshawa plant was upgraded significantly in 2008, making it one of the world’s most technologically advanced automotive manufacturing facilities. With Oshawa’s vibrant employment and educational opportunities, it is unsurprising that Oshawa is experiencing relatively quick population growth. In fact, in 2013, Oshawa’s rate of population growth was the third highest in Canada. Oshawa’s GTA location, combined with its relatively low housing prices, make it an ideal location for young families or recent Canadian immigrants to put down roots. For residents of Oshawa or Durham Region’s other cities and towns, our Oshawa location is there as your home base to tackle all your immigration related needs. 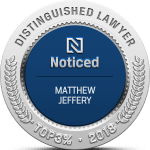 Mathew Jeffery is a highly experienced immigration attorney and has successfully handled a great many immigration issues, from the complicated to the routine. Please do not hesitate to visit our location in person or call us at 866-886-8014. We know how important immigration issues are to our clients, and we pride ourselves on offering unparalleled personalized service to each and every client.